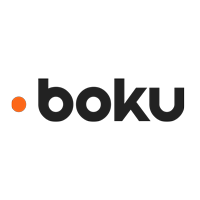 Boku Inc (LON:BOKU) Chief Executive Officer Jon Prideaux caught up with DirectorsTalk for an exclusive interview to discuss their interim results for the six months ended 30th June 2018. Q1: Jon, well done on a strong set of results released this morning. Can you talk us through the highlights? A1: What we were able to report for the first half of the year is significant growth in our non-financial KPI’s 7 also in our financial metrics. On the non-financial side, the value process through our system increased by 153% to stand at $1.55 billion and that compares actually with $1.7 billion for the whole of last year. We were also particularly pleased to see the increase in our monthly active users which went to up 10.3 million, more than doubling the level that was there in June 2017. All of this stuff is the raw material for improving our financial results, so revenues increased by 66% to $16.9 million and in fact the benefits of scaling our business played through even further ensuring that revenue was able to flow through at a higher gross margin up to 92.4%. Finally, through to the bottom line where we had a positive adjusted EBITDA for the period of $2.5 million which is quite the turnaround from the same period last year where it was 2.8 million loss in the first half of 2017. That strong performance allowed us to spend a little bit more and particularly we spent that mostly in terms of investment in our opportunities in the new mobile identity space where we’ve seen some promising developments as well. Finally, just with respect to the outlook, those non-financial metrics have continued to perform so if you recall, we were at 10.3 million users in June, in August that had increased by a further million to 11.3 million users. Volumes have continued to increase so that for the first 8 months of the year, we processed $2.2 billion so we continue to see real progress in our business. Q2: You talk about investing in new growth areas like mobile identity, can you tell us a bit more about what sort of things you’re actually looking at? A2: The problem that we’re trying to fix here is that a lot of tools that are managing people’s identity were really devised in the PC era and they don’t really survive the transition into mobile quite that well. The mobile device is something that can be hacked or sort of routed, you can put sideload apps on to it, one sort or another, but one thing you can’t fool is the network itself. Your phone company knows it’s your phone that’s calling and that it’s actually able to make the call because it’s in communication with that secure element, the sim, in your phone. We can use that trusted link in order to be able to infer all kinds of things and to stop problems like trial abuse or advertising fraud and such like and that’s really the services we’re trying to bring to market. Making sure that our customers don’t just recruit and retain users, but they recruit and retain the right users who are not going to abuse the service or otherwise try to take advantage of our merchant. Q3: What are the main factors driving your growth and how will you continue to drive it forward? A3: So, our growth is coming from three fundamental areas. Firstly, it’s just the underlying growth of the market that we serve so the market for digitally distributed content, it’s growing at an 18% CAGR and that is predicted to go all the way to 2020 and beyond. So, that’s a sort of base level of growth that we’re able to take advantage of. Above and beyond that, we are clearly having our products more broadly distributed geographically and we were able to increase the number of our most advanced Boku account connections up to 127 by the end of the first half and that was an increase from the 108 that have been in place at the end of last year. Interesting, making the connection is not the end of the growth path, once you hook up a new carrier for a service like with Apple or Spotify or Microsoft, what we see there is a maturity curve where new users of that mobile network gradually discover the capability to buy things and charge it to their phone bill. That discovery curve lasts over a couple of years and that means that the growth that we’re reporting today really stems, as much as anything, from deployments that we may have done as much as 2 years ago. It gives us a good line of sight into the future as the deployments that we’re doing now are going to continue giving us growth for the next couple of years. Q4: What can we expect for the remainder of 2018? A4: We’ve had some recently upgraded forecasts which is nice and we’re confident of our ability to meet the expected forecasts both in terms of revenue and in terms of EBITDA that have been set to us, we’ve got demanding growth. Clearly, it’s going to be difficult just for laws of large numbers for us to continue to replicate the 66% growth in revenue that we showed in the first half of the year just because the numbers are bigger. We’ll continue to expect to see revenues growing and EBITDA growing in line with the expectations of the market whilst still giving us the potential to be able to spend money on investments in future growth such as the mobile identity.